Sahara Force India team principal Vijay Mallya is expecting another spectacular Indian Grand Prix over the weekend, saying a double points finish at the Buddh International Circuit (BIC) would be a fitting result for the team’s home race. Dr.Mallya, who has been away from public glare following the suspension of his Kingfisher airlines, will attend the October 26-28 event at BIC. “I remember how proud I felt last year to see our cars racing in India in the colours of the Indian flag. It was a moment I had dreamed about and a great sporting achievement for our country. To score points was the icing on the cake. This year I would like to go one better and see both our cars in the points – at the very least – so that we can give our fans something to smile about. The gap to Sauber is now 27 points. 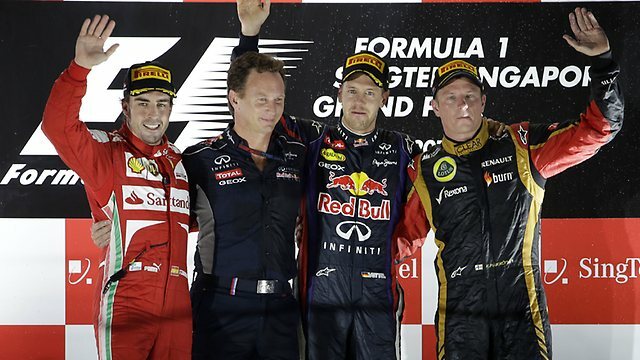 It’s a big lead, but not impossible to catch them before the end of the year,” Mallya said on Tuesday. Force India are seventh in the constructors’ championship with 89 points from 16 rounds. Mallya is hoping for a better show by the organisers, Jaypee Group, than in the inaugural edition. “Last year’s race was a tremendous success. I’m sure we can expect an equally spectacular event this year. Buddh International Circuit always looks after us very well and I know that they have been working hard behind the scenes to fine-tune the circuit and facilities even more. But above all else, the most important thing is the layout of the track because last year all the drivers loved it. It’s certainly one of the best tracks in the world,” he added.